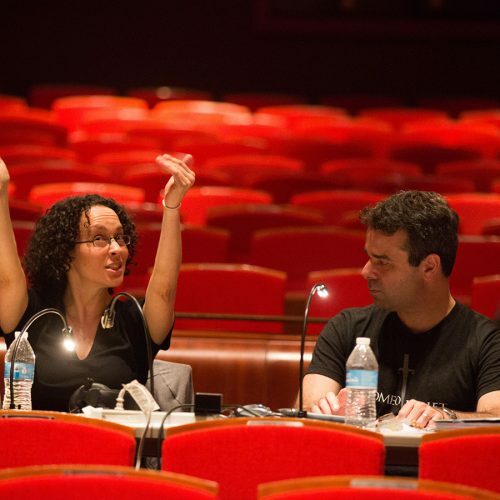 General and Artistic Director of The Atlanta Opera since 2013, Israeli born Tomer Zvulun is also one of leading stage director of his generation, earning consistent praise for his creative vision and innovative interpretations. His work has been presented by prestigious opera houses in Europe, South and Central America, Israel and the US, including The Metropolitan Opera, Washington National Opera, Seattle Opera, Houston Grand Opera, Dallas, San Diego, Boston, Pittsburgh, Minnesota, Montreal, Buenos Aires, Israeli Opera, and the festivals of Wexford, Glimmerglass and Wolf Trap, as well as leading educational institutes and universities such as The Juilliard School, Indiana University, and Boston University. 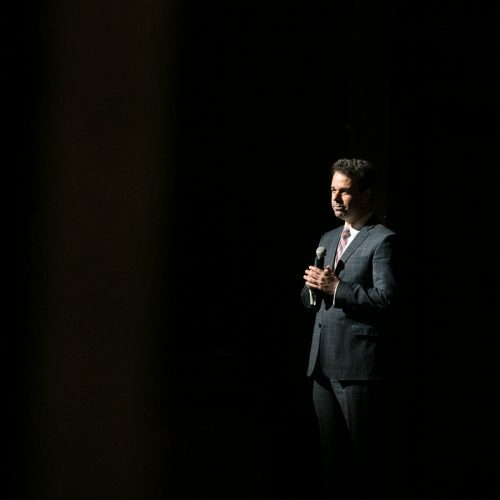 Tomer spent seven seasons on the directing staff of the Metropolitan Opera where he directed revivals of Carmen and Tosca and was involved with more than a dozen new productions. He is a frequent guest director in companies such as Seattle Opera (Semele, La Bohème, Eugene Onegin, Lucia di Lammermoor), Dallas Opera (Die Fledermaus, La Bohème), Houston (Flying Dutchman, Rigoletto), Wexford Festival (Silent Night, Dinner at Eight), Cincinnati Opera (Magic Flute, Don Giovanni, Flying Dutchman), Wolf Trap (Falstaff, Don Giovanni), Israeli Opera (Dead Man Walking, Giulio Cesare) among others. His European premiere of Silent Night at the Wexford Festival received two Irish Times Awards and traveled from Ireland to Washington National Opera, The Glimmerglass Festival and the opera companies of Atlanta, Austin and Salt Lake City. Zvulun directed over 15 new productions in his home company in Atlanta, including Dead Man Walking, Flying Dutchman, Soldier Songs, Silent Night, Maria de Buenos Aires, La Boheme, Madama Butterfly, Lucia di Lammermoor, Magic Flute, and Eugene Onegin to name but a few. 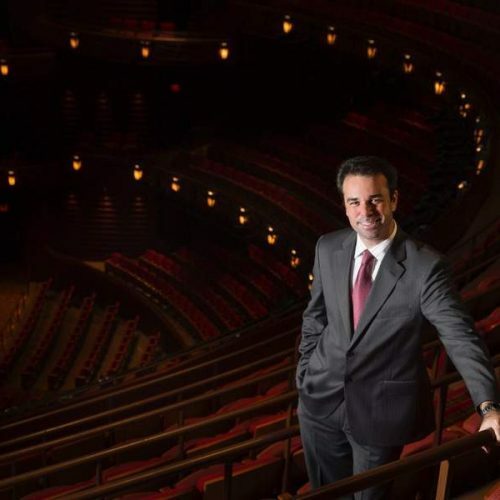 During Tomer’s tenure, the company’s fundraising has tripled, resulting in twice the number of productions presented annually. His focus on innovation has garnered national attention and resulted in a Harvard Business School case study chronicling The Atlanta Opera’s turnaround, an International Opera Awards nomination, an ArtsATL Luminary Award, and an invitation to deliver a TEDx Talk about innovation in opera. His upcoming projects include a new Rigoletto in Houston; a new Salome in Atlanta and Kansas City; revivals of his acclaimed production of Eugene Onegin in Montreal, Seattle and Palm Beach; Silent Night at Utah Opera; and Madama Butterfly and Glory Denied in Atlanta. He is currently working on developing a world premiere based on Anne Frank’s Diary and Sensorium Ex, a world premiere based on a story about artificial intelligence. Tomer’s recent shows have traveled across continents, receiving critical acclaim for their striking visuals and cinematic quality. Some of them included The Flying Dutchman (Houston, Cincinnati, Atlanta), Dinner at Eight (Wexford Festival, Minnesota Opera), Eugene Onegin (Seattle, Atlanta, Detroit, Kansas City), Lucia di Lammermoor (Seattle, Atlanta, Cleveland) Silent Night (Wexford, Atlanta, Glimmerglass, Washington, Austin), Soldier Songs (Atlanta, San Diego), Dead Man Walking (New Orleans, Atlanta), La Bohème (Seattle, Pittsburgh, Cleveland, Atlanta, Dallas), Lucrezia Borgia (Buenos Aires), Gianni Schicchi (Juilliard, IVAI Tel Aviv), L’heaure Espagnole (Juilliard), Magic Flute (Cincinnati, Atlanta, Indiana University), Don Giovanni (Wolf Trap, Cincinnati), Die Fledermaus (Dallas, Kansas City), Falstaff (Wolf Trap, Des Moines), Rigoletto (Boston, Atlanta, Omaha, Charlotte), Madama Butterfly (Atlanta, Castleton Festival, New Orleans), Tosca (National Theatre Panama, Atlanta) and Semele (Seattle). Tomer Zvulun was born and raised in Israel, attended the open University in Tel Aviv and Harvard Business School and makes his home in Atlanta. 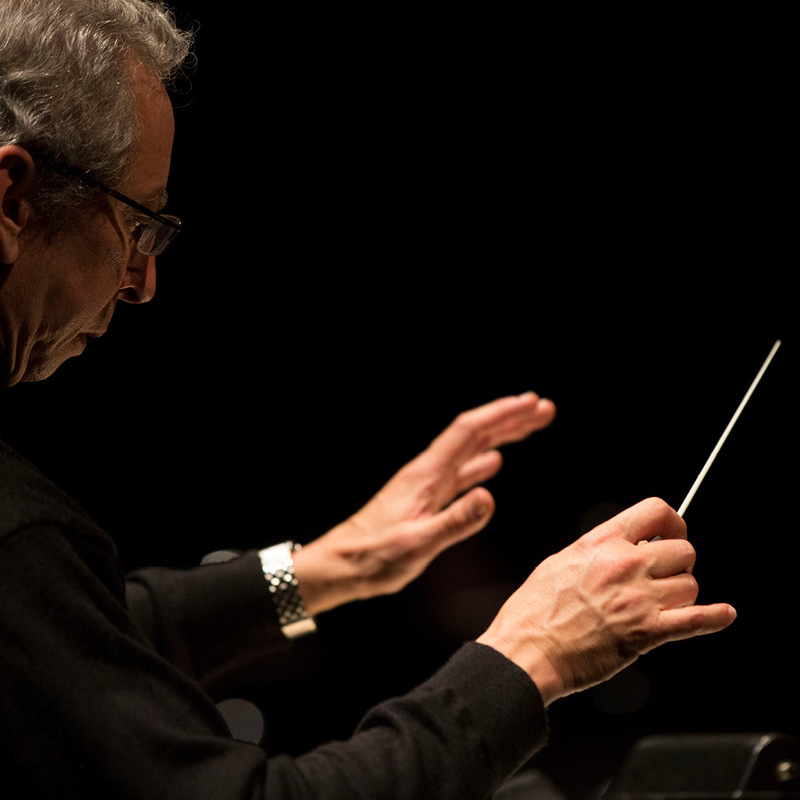 Arthur Fagen has been the Carl and Sally Gable music director at The Atlanta Opera since 2010, and continues to be in great demand as a conductor of symphony and opera both in Europe and the United States. He is a regular guest at the most prestigious opera houses, concert halls, and music festivals at home and abroad, and his career has been marked by a string of notable appearances including the Metropolitan Opera, Lyric Opera of Chicago, Staatsoper Berlin, Munich State Opera, Deutsche Oper Berlin, and the New York City Opera. From 1998 to 2001, Fagen was invited regularly to be guest conductor at the Vienna State Opera. On the concert podium, Fagen has appeared with internationally renowned orchestras, including the Baltimore Symphony Orchestra, the Czech Philharmonic, Munich Radio Orchestra, Tokyo Philharmonic, Orchestre de la Suisse Romande, Deutsche Kammerphilharmonie, and the RAI Orchestras of Turin, Naples, Milan, and Rome. From 2002 to 2007, he was the music director of the Dortmund Philharmonic Orchestra and Opera. In 2008, Fagen was appointed as professor at Indiana University in Bloomington. A former assistant of Christoph von Dohnanyi (Frankfurt Opera) and James Levine (Metropolitan Opera), he served as principal conductor in Kassel and Brunswick, as chief conductor of the Flanders Opera of Antwerp and Ghent, as music director of the Queens Symphony Orchestra, and as a member of the conducting staff of the Lyric Opera of Chicago. Fagen was born in New York and studied with Laszlo Halasz, Max Rudolf (Curtis Institute) and Hans Swarowsky. Fagen has an opera repertoire of more than 75 works and has recorded for Naxos and BMG. The recent Naxos recording of Martinůs works was awarded Editor’s Choice in the March 2010 issue of Gramophone Magazine. Mr. G. Kimbrough Taylor, Jr.
Mr. Carl I. Gable, Jr.